Those glued to the TV and sports news updates are in danger of overlooking the fact that the weather has been beautiful recently, so head out and enjoy it! Why not go for an ice cream in the park, head out on a long bike ride or venture into the countryside for a peaceful walk, with little danger of hearing any football updates. We all know the British summers don’t tend to last too long, so let’s not take the current heatwave for granted. 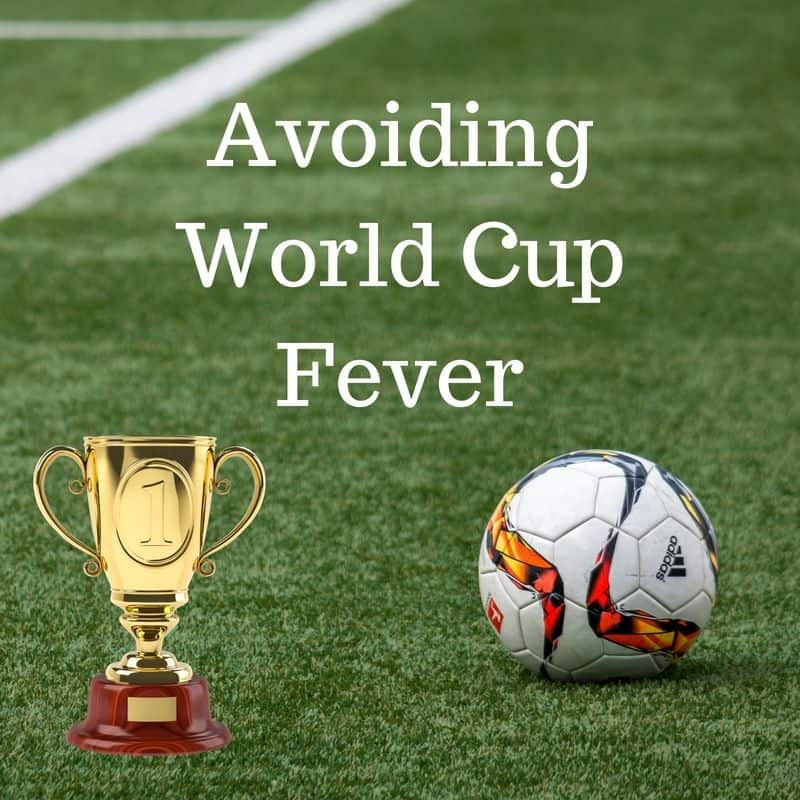 If you’re tired of hearing the words “football”, “world cup” and several other variations popping up in conversation far too frequently, your go-to escape may be a long, strong drink. The problem here, of course, is that many pubs will be showing the very games you’re trying to avoid, so you may have to get a little more adventurous. Try venturing further than your local pub to find a bar that’s not sports-obsessed; why not fill out a few of our paid surveys and allow yourself an upgrade to a fancy cocktail bar this weekend, or hunt out a swanky roof terrace with no TV screen in sight? For many of us, when we’re particularly bored we resort to scrolling through social media feeds on our phone. Along the same lines as the pub dilemma, this isn’t going to distract you when half of your friends are posting about the very thing you’re trying to avoid. This could be a great chance to detox from your scrolling habits; put your phone away and find a real-life activity to enjoy. Again, getting outside in the sunshine is a great idea here, or else you could try cooking a new recipe, attend a sports or exercise class (safe to say maybe not football?) or why not pick up a novel and try relaxing as you read? In the meantime, allow those who are enjoying this football nonsense to have their time, and entertain yourself by doing something else you enjoy. Whatever the outcome, it will all be over soon!